Tuan Pham came to photography rather late in life with a background in mindfulness practice. Several incidents have shaped his perception and visual voice. Most significant was a commercial tour of ten national parks in the Golden West, which he joined with high hopes of bringing home images that everybody liked. Conditions on the ground however did not cooperate; out of deep frustration, he turned his camera to things that nobody likes. Little did he know that the decision would crack open the door to the wondrous world of things ordinary, insignificant, and insubstantial. Subsequently, he realized that the categorization of “inanimate objects” was misleading, since everything changes, moves, even speaks. This realization enabled him to deepen his relationship with the surroundings—viscerally and reciprocally. 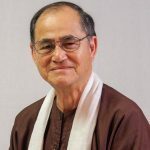 Recently, during the Somatic Movement Immersion workshop at Omega Institute in July 2017, Tuan reconnected with his inner child and grew the courage to let it out to play in the rain like it used to, and let it have fun. Tuan Pham resides in his body and is proficient in six languages—seeing, hearing, smelling, tasting, sensing and silence.